Almost a week after the tented structures were once again demolished by authorities, we brought some music to Dunkirk on a hot sunny afternoon. Refugees and volunteers enjoyed a music session with Kurdish daf and tonbak drums. A wonderful gift from our volunteer Ed Emery who understands that music keeps hope alive amidst the squalor of woodland camp life. Our team also distributed 150 new blankets, which were eagerly received. 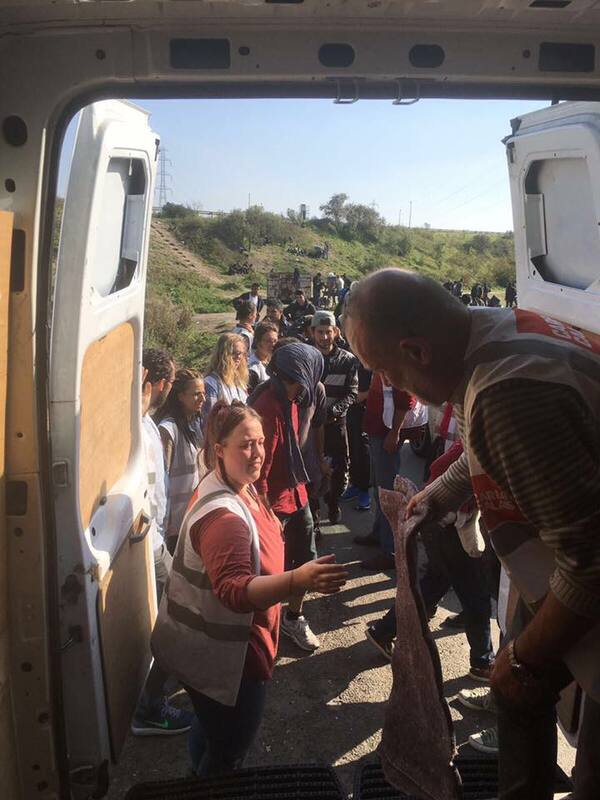 The wonderful Refugee First Aid & Support Team once again worked alongside us treating a range of injuries, including the ill-effects of pepper spray. We provided (and need) continued supplies of eye drops as well as bottled water to help with widespread dehydration. Many thanks to Amy Sunshine for helping to get these blankets over to Calais. As cold nights draw in, we need more blankets, blankets, blankets!